Sakai Community DocumentationSakai 11 - EnglishSakai 11 Administrator Guide PA SystemHow do I edit an existing popup system message? Click Edit for the popup you want to modify. Zoom: Click Edit for the popup you want to modify. Edit the popup information as needed, then save. Zoom: Edit the popup information as needed, then save. Note: Remember that you will need to make your changes to the html template file before uploading the edited version. 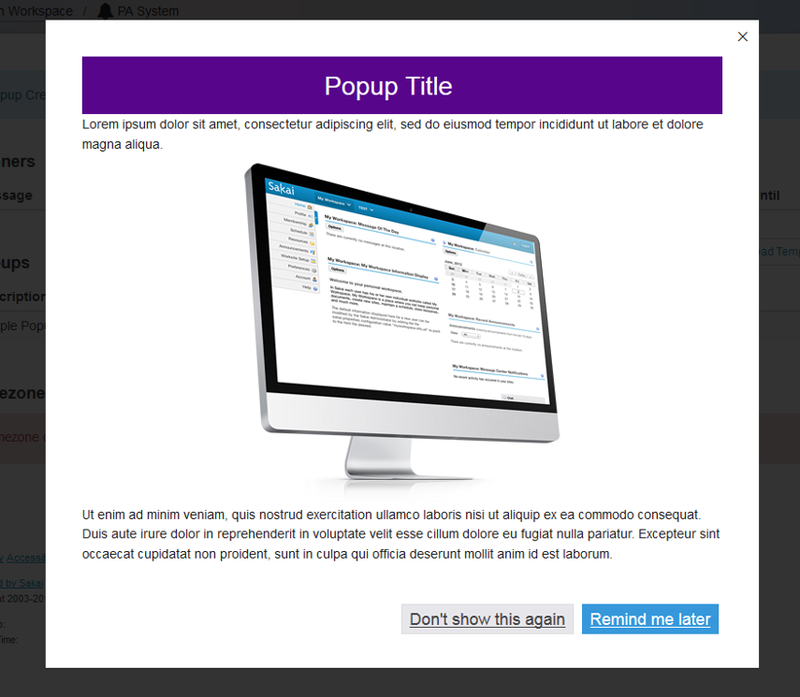 Popup message content cannot be edited online via the PA System tool. Prev: How do I create a popup system message? Next: How do I delete a popup system message?